Introducing: Walt Life Addiction Subscription! Everybody loves surprises! Especially surprises that come in boxes and you know some Disney magic is inside! 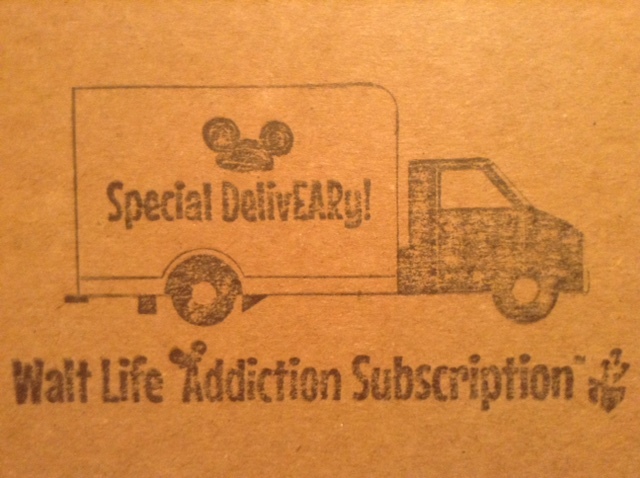 From the Creators of Walt Life, I’d like to introduce you to the Walt Life Addiction Subscription! How does it work? Well, you choose a subscription plan ($34.95/month), Walt Life goes shopping, and you receive a box full of Disney surprises! We received the Summer Fun! box earlier this month. Included was a Mickey Mouse Popsicle Mold, an Ariel Travel Mug, and a Disney Trivia “Games on the Go” CD! All of it packed with party confetti to boot! The trivia CD is so much fun to listen to and try to be the first to shout out answers! It’s great for moms to ‘play’ with their kids while running errands. It would also be a great way to pass the time if you’re on a road trip! I found the Walt Life Addiction Subscription to be full of surprises that the whole family can enjoy! Except for the Ariel Mug… I claimed that all for myself. Shhhhh! It’s okay for adults to have their own fun, right? It’s Even More Fun to GIVE than to Receive!! What’s the best part about Walt Life’s Addiction Subscription? You can choose to purchase a Box to be sent to our Soldiers overseas! It’s a great way to let our American Heroes know that we’re thinking of them and wonderful way to thank them for their service to our Country! Learn more about the Walt Life Addiction Subscription here! Join the Addiction Subscription Community on Facebook here. Terri Miller is the founder of WDW Hints – where she and her team love to research the lesser known things about Walt Disney World and then share those finding with their readers! Feel free to visit the WDW Hints Facebook page and say Hello!